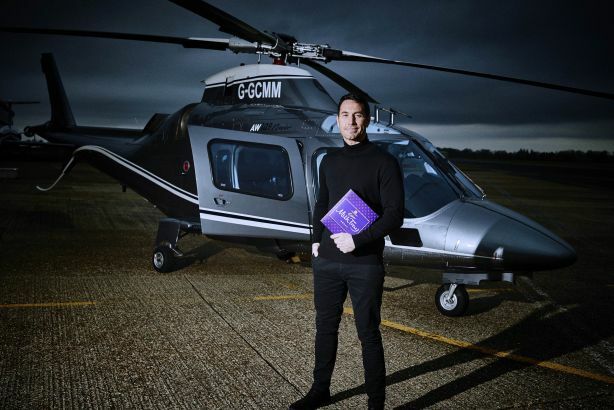 A nationwide PR campaign led by Golin to reveal the modern-day Milk Tray Man has secured media coverage for Cadbury as well as an increase in sales. Golin has managed Cadbury's PR for four years and helped begin the search for a new Milk Tray Man - the James Bond-esque figure used in previous ad campaigns for the chocolates brand - in September last year. Led by senior manager Teek Smith, the agency worked with the Cadbury in-house team and advertising agency Fallon, auditioning more than 20,000 applicants for the role. A YouTube film of celebrities auditioning for the role (see bottom of story) has been viewed more than one million times. The campaign aimed to inject relevance into the brand and recruit a new generation of fans. It has led to a 40 per cent uplift in sales, according to Rachel Minty, the Golin executive director leading on the Cadbury account. Yesterday the winner was revealed - 39-year-old firefighter Patrick McBride from Merseyside - with the announcement widely covered on national and online news including BBC Breakfast, Good Morning Britain, Lorraine, Sky's Sunrise, The Times, The Sun, Daily Mail, Metro and the Daily Mirror. Minty said: "Patrick was selected because of his thoughtful yet heroic nature, which makes him the perfect modern-day Milk Tray Man and the ideal person to don the iconic black polo neck. "The Milk Tray Man is an iconic figure with a long-established heritage. So many people have grown up watching the extreme lengths he would go to in order to deliver a box of chocolates to the woman he loved, but we needed to ensure we brought the enigmatic character up to date." The hashtag #MilkTrayMan was the top organic trend on Twitter yesterday, and was also promoted through the social network. Hortense Foult Rothenburger, senior brand manager at Cadbury owner Mondelez International, said: "The announcement of the new Milk Tray Man is the result of a brilliantly executed PR campaign run by the Golin consumer team that has exceeded all expectations. "Our aim was to re-establish Milk Tray as a thoughtful gift and introduce a new generation to this great brand. The campaign has achieved stratospheric coverage across all types of media – from broadcast to social." For his first mission as the new Milk Tray Man, McBride has asked the public to nominate a friend, colleague or loved one who they think deserves to receive his first delivery of Cadbury Milk Tray.